; Now we are in PM. ^ Mueller, Scott (2006-03-24). “P2 (286) Second-Generation Processors” (Book). Upgrading and Repairing PCs, 17th Edition (17 ed.). Que. ISBN 0-7897-3404-4. http://www.informit.com/articles/article.aspx?p=481859&seqNum=13 2007年7月閲覧。. ^ a b “2.1 Memory Organization and Segmentation” (Manual). Intel 80386 Programmer's Reference Manual 1986. Santa Clara, CA: Intel. (1986). ^ Hyde, Randall (November 2004). “12.10. 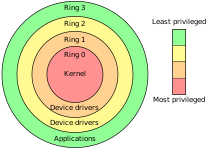 Protected Mode Operation and Device Drivers”. Write Great Code. O'Reilly. ISBN 1-59327-003-8. ^ “7 Multitasking” (Manual). Intel 80386 Programmer's Reference Manual 1986. Santa Clara, CA: Intel. (1986). ^ Dabak, Prasad; Millind Borate (October 1999) (Book). Undocumented Windows NT. Hungry Minds. ISBN 0-7645-4569-8. Memory Management. Intel 64 and IA-32 Architectures Software Developer's Manual. Denver, Colorado: Intel. (May 2007). http://www.intel.com/products/processor/manuals/index.htm. (Manual) Intel 80286 Programmer's Reference Manual 1987. Santa Clara, CA: Intel. (1987).